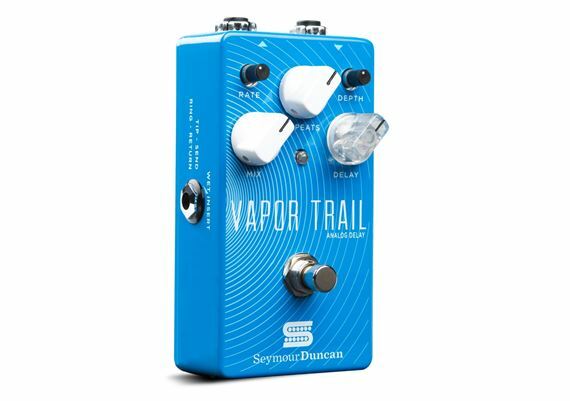 Shop Seymour Duncan Vapor Trail Analog Delay Pedal from AMS with 0% Interest Payment Plans and Free Shipping. 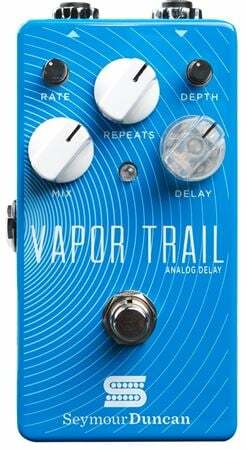 The Vapor Trail is a true analog delay pedal using the famed Bucket Brigade Devices (BBDs).Everyone loves the warm, smooth, ambient vibe of a Bucket Brigade Device (BBD) analog delay pedal. 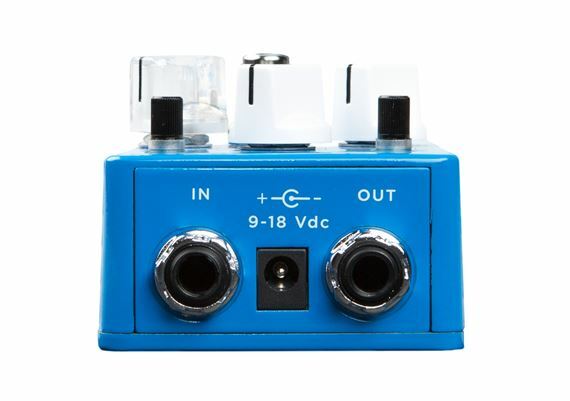 This pedal gives you those classic tones but with a TRS inset jack that lets you process the repeats through additional effects to unlock your creativity and redefine what you can do with analog delay. Type of Circuitry: Analog Bucket Brigade Devices (BBDs) supported by modern low-noise analog electronics. No microprocessors or digital signal processors. Delay Range: 15ms to 600ms. 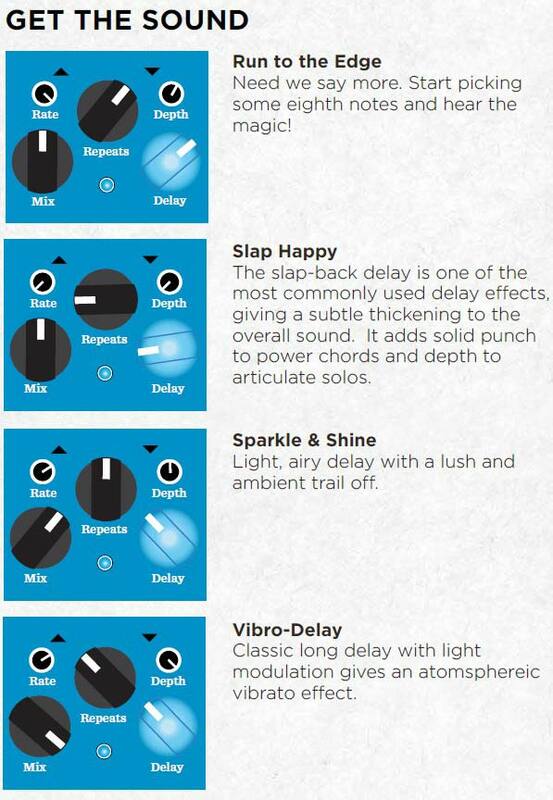 Actual delay time indicated by flash rate of illuminated delay time knob. Wet Gain: Adjustable from muted to +3dB. At the highest blend settings, the first echo is actually louder than the dry signal. Modulation Depth Range: Zero to "over the top"
Auxiliary Functions: Wet channel insert loop, allows external effects to be applied to only the wet signal. 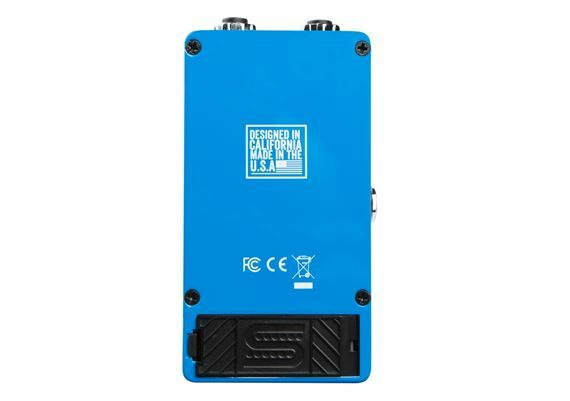 Also serves as a wet-only output for wet/dry stereo or studio use.